The UK already exports pork, poultry, lamb and dairy to the Philippines. Market access for beef was withdrawn in 1996 due to concerns over BSE but the ban was listed in 2001. It followed a visit from inspectors from the Philippines, hosted by Defra and AHDB. AHDB said the deal was awarded when inspectors saw the UK’s high animal welfare and food safety standards first-hand. Announcing the deal, farming minister George Eustice said: “Securing market access for our world-class beef to the Philippines is a huge vote of confidence for a sector that already exports more than £350 million around the world, including Hong Kong and Canada. The Philippines was the largest food and drink market in south east Asia with meat consumption expected to grow by ten per cent over the next five years. The country first opened its doors to UK pork more than a decade ago, with the UK’s market share increasing substantially over that period. UK pork shipments grew four times between 2015 and 2016, with pork offal shipments rising by 40 per cent in the same period. The taste for UK dairy has also increased with UK cheese sales more than tripling between 2015 and 2016 and 37 per cent expected growth by 2025. Dr Hadley added: “This decision enhances an exciting 12 months for UK red meat exports, with wider markets opening in Hong Kong last July and a Japanese government delegation investigating beef production controls just last month. Alan Clarke, Chief Executive of Quality Meat Scotland, said the announcement was excellent news for the Scottish red meat industry. “The Philippines are a priority market for Scotch Beef PGI which has earned a global reputation for quality underpinned by one of the longest-running quality assurance schemes in the world. Mr Clarke added there were substantial opportunities for the Scottish red meat industry to develop and grow business inside and outside of the EU. “We have also been working hard with other trade partners such as Scotland Food and Drink, Scottish Development International and the UK Export Certificate Partnership to open key markets such as the US, China and Japan which also offer exciting opportunities for the future,” he said. Rhys Llywelyn, marketing manager for Hybu Cig Cymru said: “The Philippines, like many countries in east Asia, has long-term potential in terms of exports, as per-capita income and meat consumption is growing. “Working with our partners through UKECP, Welsh Government and Defra, as well as Welsh processors to open up new markets is a key aspect of HCC’s work,” explained Rhys. UFU deputy president Victor Chestnutt said it was ‘another positive’ following the approval of BSE negligible risk status. 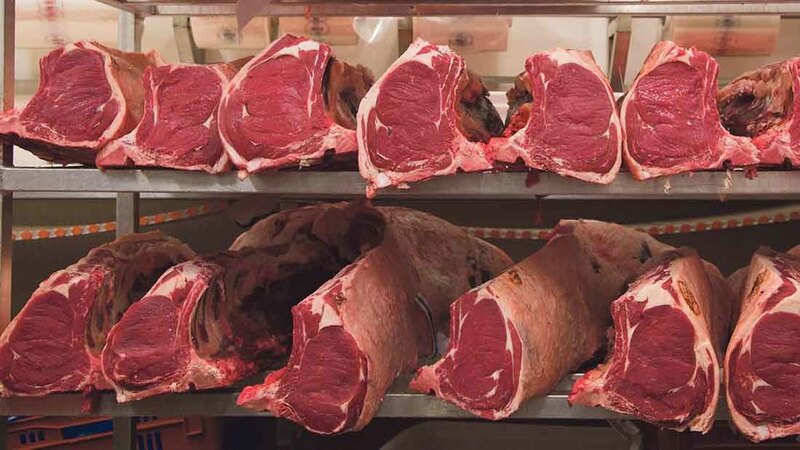 “Balancing returns for the whole carcase, from steaks to cheaper cuts, maximises the return for processors and farmers.